6 Bedroom Luxury with conservation View! Located in the upscale community of Bridgeford Crossing. This 6 bedroom villa is luxury at its best. The kitchen would be a dream come true for any chef. The villa has 1 master suite on the main floor with a walk out of its own to the screened lanai with the villas stunning pool and private spa. The other master suite is located upstairs with a private bath. There are 3 full baths upstairs. There are 2 1/2 baths on the main floor and including the pool bath! The villa has no rear neighbors. The view off the pool deck is conservation with a water view. 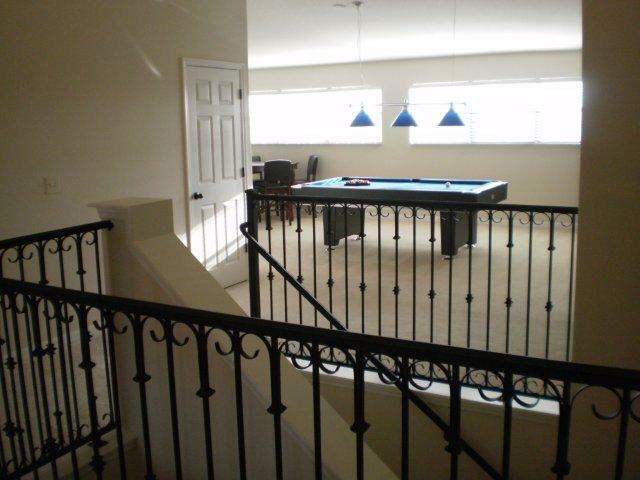 Its the perfect place for morning coffee, lunch poolside, or dinner to enjoy the wonderful Florida weather. There is a formal dinning room, 2 lounges and a bonus room. 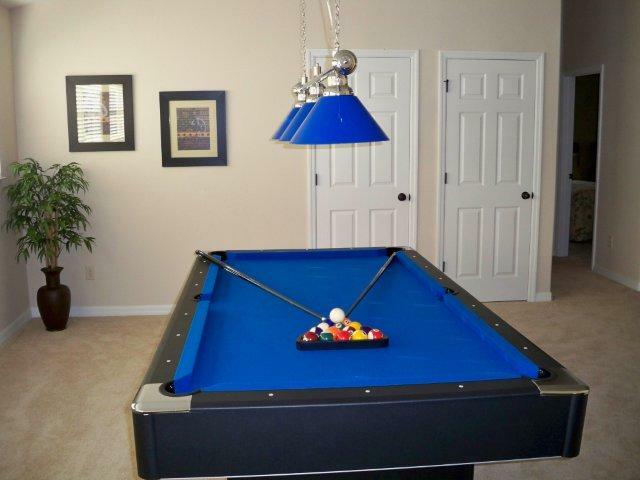 Then there is the amazing game room for the kids. This 6 bedroom villa is large enough for families traveling together or for those that just want loads of room. 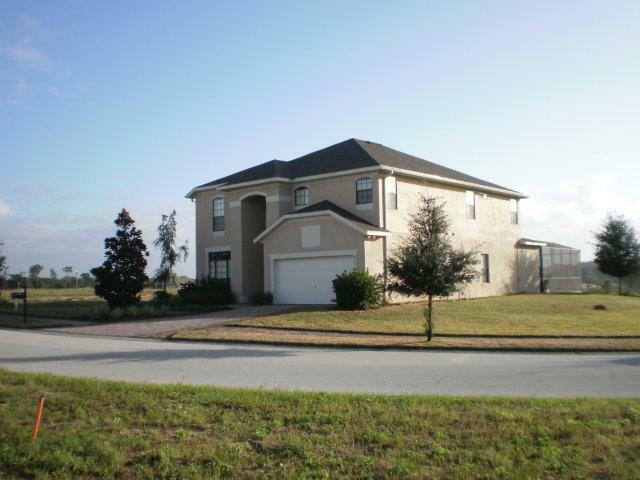 Located in the upscale community of Bridgeford Crossing. This 6 bedroom villa is luxury at its best. The kitchen would be a dream come true for any chef. The villa has 1 master suite on the main floor with a walk out of its own to the screened lanai with the villas stunning pool and private spa. The other master suite is located upstairs with a private bath. There is 3 full baths upstairs. There are 2 1/2 baths on the main floor including the pool bath! The villa has no rear neighbors. The view off the pool deck is conservation with a water view. 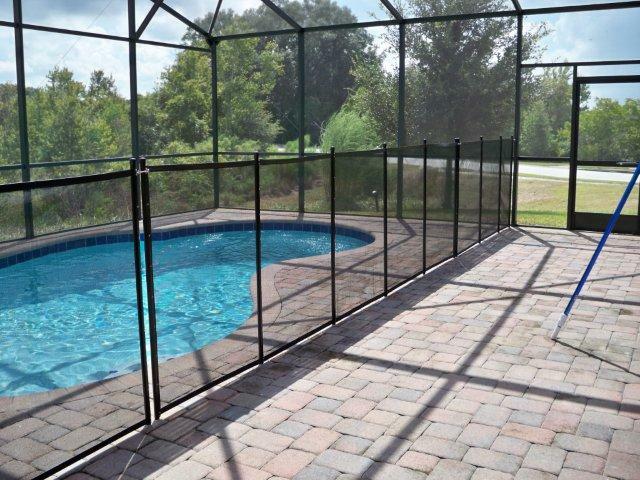 Its the perfect place for morning coffee, lunch poolside, or dinner to enjoy the wonderful Florida weather. There is a formal dinning room, 2 lounges and a bonus room. Then there is the amazing game room for the kids. This 6 bedroom villa is large enough for families traveling together or for those that just want loads of room. Bridgeford Crossing is located in the Davenport area, Florida just off CR 547, off HWY 27. This exclusive estate of luxury villas is adjacent to Lake Davenport in a picturesque setting with an abundance of wildlife. Many of the holiday homes also enjoy views of the lake. Disney World, Orlando is 15 minutes away and Bridgeford Crossing is minutes away form the I-4 allowing quick and easy access to the main Orlando attractions. I apologize for the lateness in sending this email but it has been a crazy month since returning from Orlando. I just wanted to tell you how much we enjoyed the house and our visit to Florida. You were fabulous and we found the house to be above and beyond our expectations. It is located so close to everything yet far enough away to feel like you're on vacation. 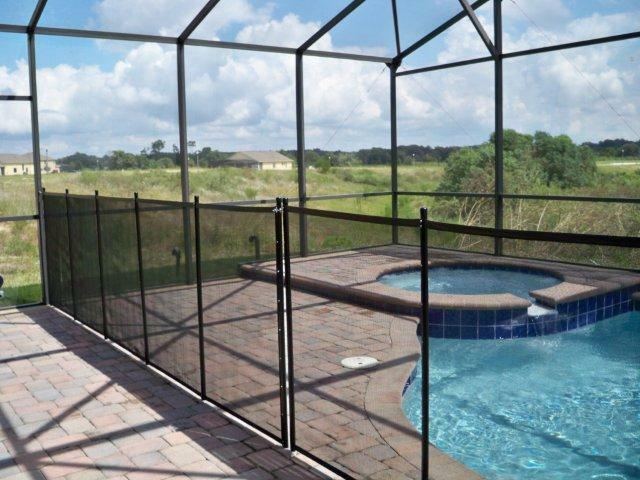 We definitely will recommend the property to friends and family and if we ever come back to Orlando for a family vacation again, we certainly will be looking into renting it again. Thank you for all your help while we were there. Hope 2013 is a great year for you and that you find time to enjoy the Florida sunshine! !